The Kremlin on Friday officially commented on «the Estonian government's recommendation to officials not to talk to journalists from Russian federal media», calling it «strange and difficult to explain». «This strange decision is difficult to explain,» Russian presidential press officer Dmitry Peskov told reporters, Interfax reports. 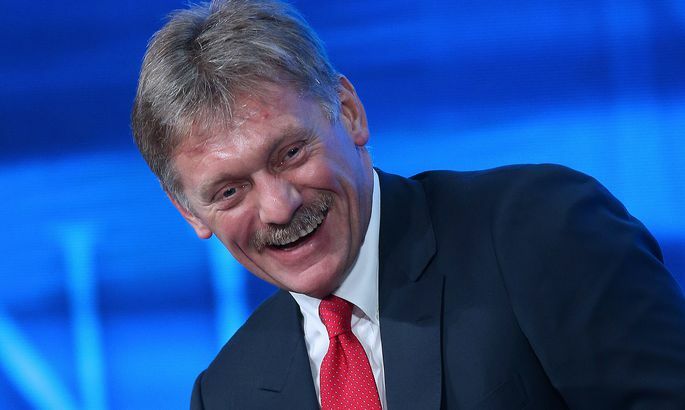 «Thank God, we live in a country which has a law on the mass media under which Russian and foreign media working here have absolutely equal rights and they have equal access [to officials],» Peskov said. The Russian news program Vesti on Sunday claimed in its coverage of Estonian events among other things that the Russian-language TV channel ETV+ set to go on air in September is a propaganda channel of the Estonian state, the Internal Security Service monitors local people's attitudes and members of parliament are forbidden to interact with members of the Russian State Duma. The program included a brief interview with the editor in chief of ETV+, Darja Saar. She was asked among other things whether separatists or the militia were fighting in the Donbass region of Ukraine and who owns Crimea, to which Saar replied the channel will follow Estonia's official position in all issues. Saar told the daily Postimees her replies had been torn out of context. «As is usual in their case, their cutting skills are excellent,» she observed. Estonian government's media adviser Helin Vaher on Friday told the daily Eesti Paevaleht that «in case of interview requests coming from Russia a red lamp should definitely turn on because Russia's national media, especially television, can't be considered media and we should not help along the propaganda activities of the Russian authorities».